There are not enough stars to show how truly great this company is. I was in education for 32 years. At the age of 56 I got a chance at a new career in Long Term Care. I was put in Human Resources with no experience or knowledge about what I was doing. My company did a good job of training me, but there was just so much to learn and do. 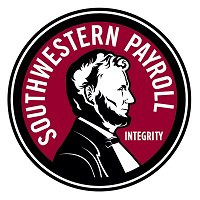 I have made several mistakes along the way, but Southwestern Payroll has been with me every step of the way. They have saved me several times from my mistakes and have gone out of their way to help me learn things. They have done countless things for me that really is not in their job description. I have formed some true friendships with several of the employees along the way. I am so thankful for the team as Southwestern Payroll. You will NOT ﬁnd a better payroll service anywhere!